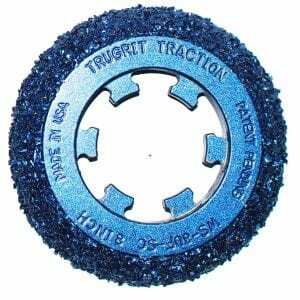 If you already own rubber wheels from Cues, all you need are TruGrit® Wheels, you do not need this kit. The 8″ TruGrit® Starter Kit | Cues Style, includes everything you need to be up and running plug and play with new TruGrit® Wheels on your Cues CPR, WTR, SPR2 or LAMP 2 Transporter / Lateral Launcher. The starter kit includes six Cues Style Hub Adapter Sets for 8″ pipe, and six TruGrit® Wheels. Once you own a starter kit, all you will ever need to purchase again are replacement TruGrits for $97 each. 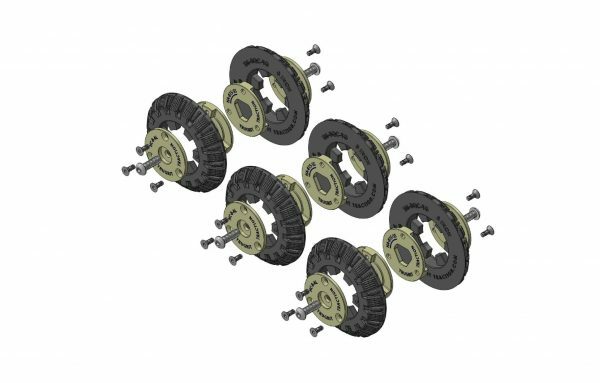 Keep in mind, if you already own Cues hub adapters, you do not need to purchase this kit, all you will need are TruGrit® Wheels.